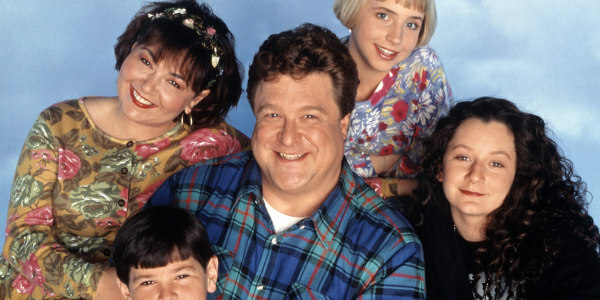 For John Goodman, walking on to the "Roseanne" set after 20 years was like "being home, again." Goodman and his fellow "Roseanne" revival stars opened up about how emotional it was to have the Conner family back together again during Thursday's special episode of ABC's "20/20" called "Roseanne: The Return." "I don't have the words to describe how it was. It was strange, exhilarating," said 65-year-old Goodman, who marveled over how well the crew members reconstructed the show's original set. "The wallpaper was reproduced from photographs. The hair was standing up on my arms when I found myself there." "Roseanne," which followed the lives of the blue-collar Conner family in fictional Lanford, Illinois, became an instant smash hit thanks to the show's talented stars, its lovable characters and its willingness to explore sensitive issues, including racial bias, sexuality and bullying, with humor and heart. Thursday night, the show's cast members shared behind-the-scenes memories of working together — or in some cases, growing up together. Sara Gilbert, who was just 13 when she landed the role of middle child Darlene Conner, revealed she and Lecy Goranson, one of the two actresses who played oldest child Becky Conner, used to steal the crew's golf carts and zip around the lot. "We were kids, so we would do little things like that," Gilbert, 43, explained. The actors also dished about the dozens of guest stars — including Leonardo DiCaprio, Tobey Maguire, Joseph Gordon-Levitt and Alyson Hannigan — who appeared on the show during its original ABC run from 1988 to 1997. Goranson had happy memories of hanging out with future Hollywood A-lister George Clooney, who had a recurring role in Season 1 as a manager in a factory where Roseanne worked. "He's just such a wonderful guy. He really is just fun to be around," said Goranson, who said the pair used to play basketball together. "He is that cute and charming and fun, someone you want to pal around with in real life." Goranson and Sarah Chalke — or "Becky No. 2," as fans dubbed her — will both appear in the upcoming revival, and, in a fun new twist, they even share scenes together. This time around, Chalke plays a woman who hires Becky Conner as her surrogate. "Roseanne" returns to ABC in a special one-hour premiere on March 27, and we couldn't be more excited.